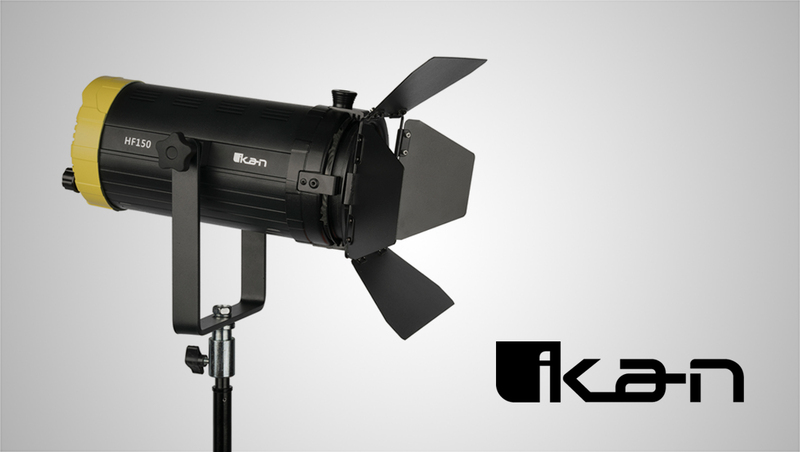 Along with the release of a new canvas fabric LED lighting unit, Ikan announced this week the launch of a new LED Fresnel. The Helia HF150 LED Fresnel is a bi-color light, making it perfect for broadcast, documentary and corporate video uses. “Since the light is a bi-color Fresnel, the HF150 light will give a lot of broadcast studios a chance to mix color more,” said Product Manager Barry Garcia. The Helia is a 4″ light fitted with a bi-color 150 watt COB LED bulb. The HF150 is equivalent to a 650 incandescent watt. The light, along with Ikan’s other new products, will be on display during the upcoming NAB Show in booth C10919.